HAVE YOUR PARTY AT STUDIOPOP! 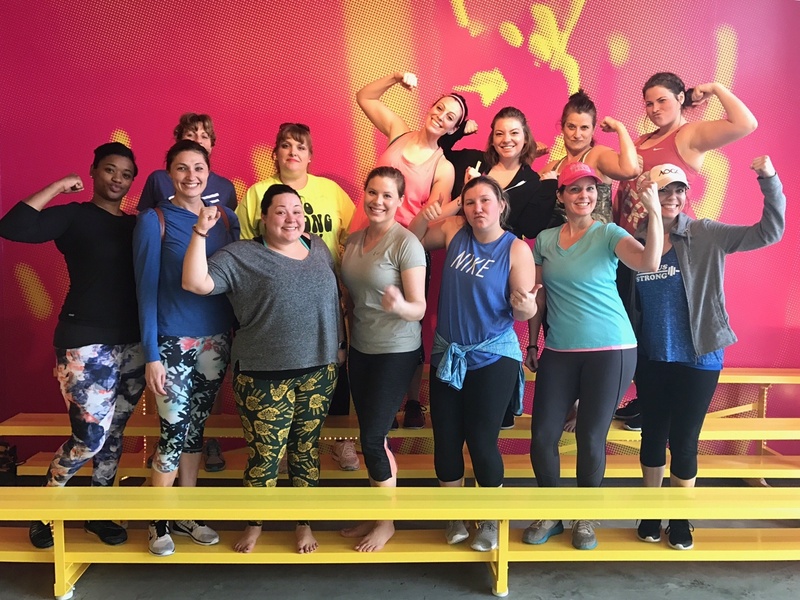 Whether it's a Birthday Party, Bridal Shower, Bachelorette Party, Business Team-building Event, or "just because" - parties and events at studio//POP are A BLAST and something your guests will ALWAYS remember! You can have a private Cycle class, a Yoga class, or our signature CYCLE+YOGA class! Extra instruction before class for any beginners in your group - we want everyone to feel comfortable and have fun! A table in the lobby for snacks, cake, etc. A swag bag for the guest of honor! We can also provide a full-service team building event. A class of your choice to break down barriers and get creative juices flowing, then access to a private space for meetings or workshops. We also offer team-building activity facilitation through a network of professional partners. Contact us for pricing on Team Building Events. Times available: Fridays 7:30PM, Saturdays after 11am, Sundays after 11am or upon request based on availability. Party Pricing: $270. A $50 deposit is required at the time of booking. Contact us at frontdesk@studiopoptulsa.com to plan your party or event today! Cancellation policy: We require at least a 72 hour cancellation. Deposit will be retained for cancellations made within 72 hours of the party.